The 4 way tap connector lets you convert a single tap into four individual outlets, each with a separate flow control valve. 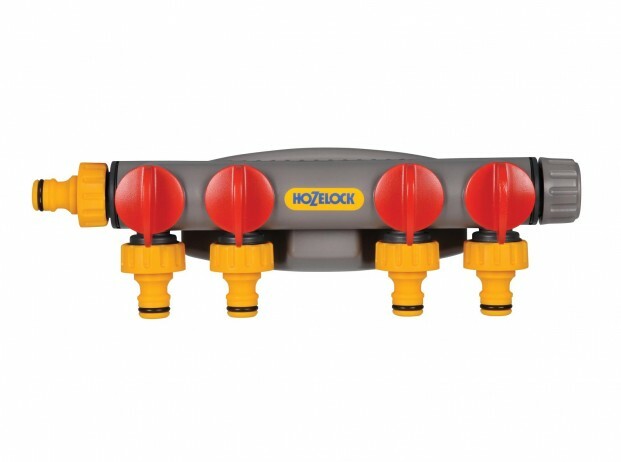 It can be used with all existing Hozelock connectors using the simple Hozelock connect system. 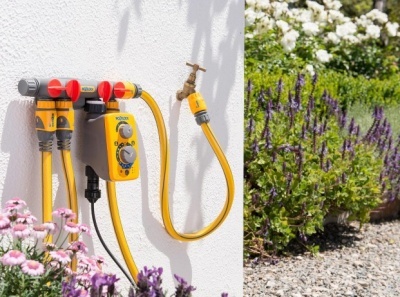 The 4 way tap connector also comes with a wall bracket, all the screws and plugs required and also two hose end connectors. The 4 way tap connector also lets you easily attach Controllers side by side thanks to the specially deisgned spacing system. Controllers are attached using their threaded adaptors which they are supplied with so no need to buy additional components. Each outlet has its own flow control letting you use all outlets at once or just one at a time if needed.